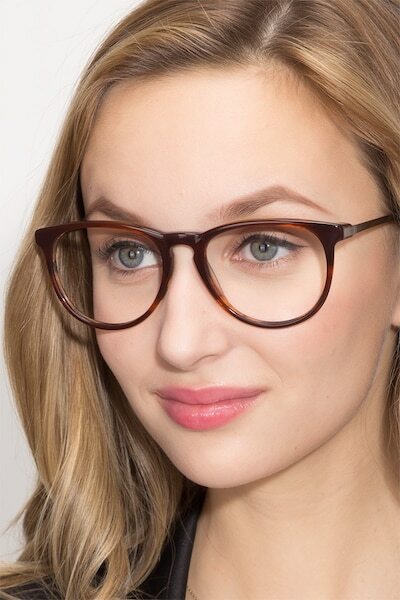 Let your style resonate on all spectrums with these brown striped eyeglasses. 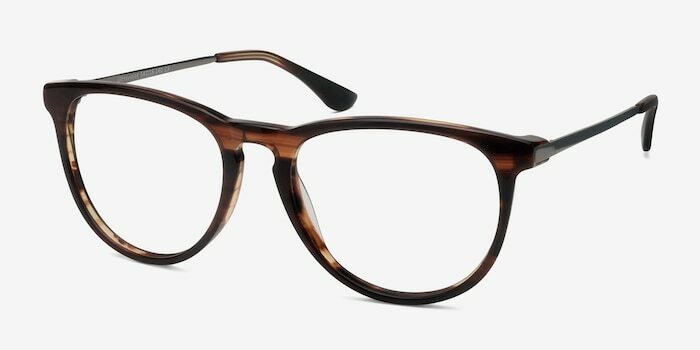 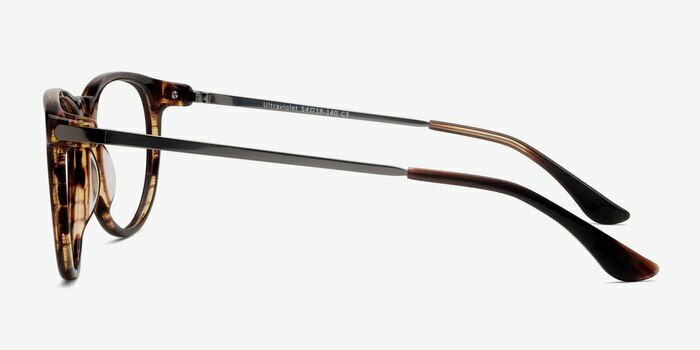 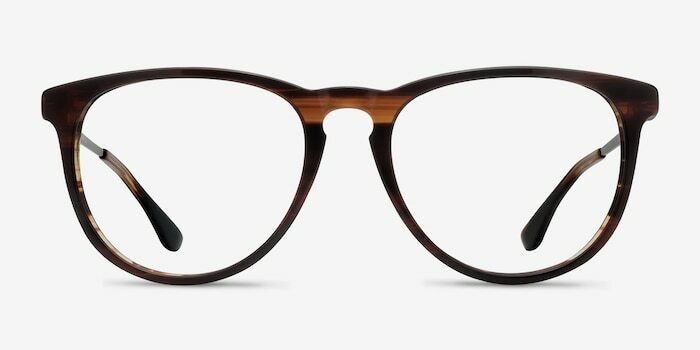 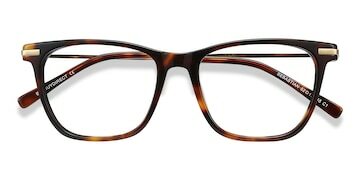 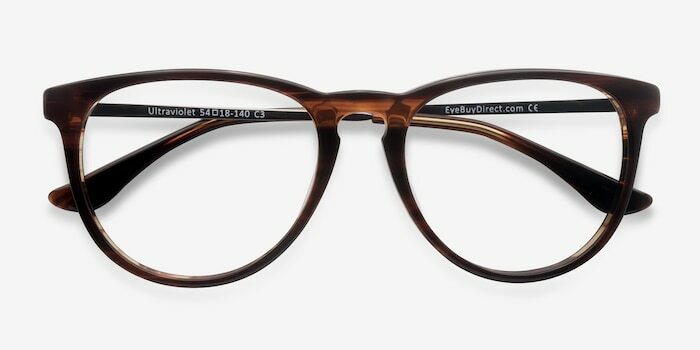 This urban frame features a wayfarer shaped frame front in a semi-transparent brown banded acetate finish with a keyhole nose bridge. 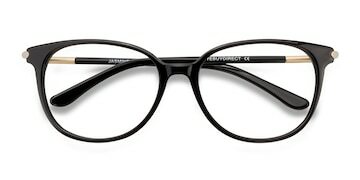 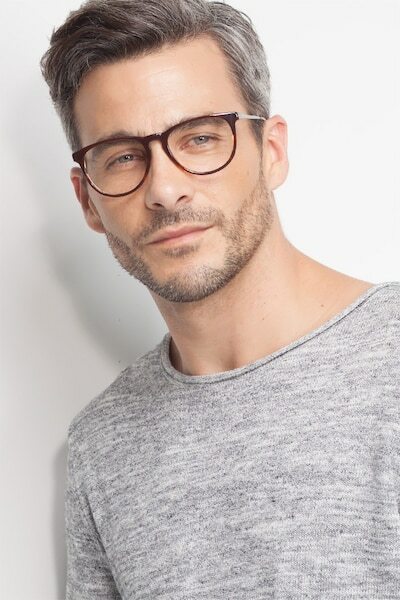 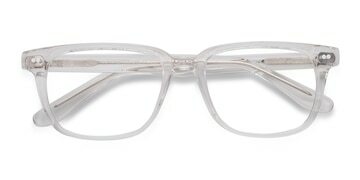 The silver metal temples are tapered and end in matching acetate for a gratifying look suitable for both men and women.